As INEC releases 2019 general election time table, various political parties have announced their time tables for primaries at the local government, state congresses and national conventions. 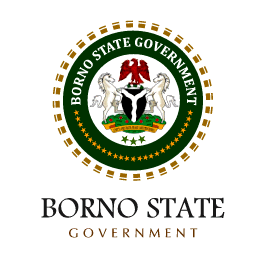 Political aspirants in Borno State are systematically indicating their interest competitively clamouring for various positions at the local, state and national levels. Despite the multiple political parties registered by INEC numbering over ninety, only a few of the political parties have functional offices, visible aspirants and political structures in Borno state. As APC announced the schedule of primaries for it's aspirants, politicians have started indicating interest to run for various political positions most especially, at the state and national levels. Maiduguri city has in recent time been decorated with different posters and Bill boards of political aspirants with majority from APC. Governor Kashim Shettima, on Eid el kabir sallah day blew the trumpet to chantry to the shock of many politicians that his government has no intention and will not for any reason sponsor any politician or dictate any aspirant or candidate for the people and state in the 2018 party primaries and 2019 general election. The governor made it vividly clear that he has no plans to interfere in the party primaries at any level neither will he dictate who will succeed him to the people, stressing that the electorates should elect those they want to represent them. He insisted that democracy is all about franchise and choice of the people. Gov. Shettima maintained that the people of Borno should be left alone to decide who will govern them and also represent them at the state and national assembles. According to him, the era of someone coming to dictate or decide for the people whom to elect at the party primaries and elections is over and government is ever ready to accept whoever may emerge as the people's choice and winner from any election whether during the party primaries or general elections at all levels. This declaration which served as a unique revelation to the people, particularly, the politicians contrary to what was previously obtainable in the state, triggered some politicians who have political ambition to come out visibly to indicate their willingness to contest at the party primaries and general election. This is the first-time in the political history of Borno State that Borno State is witnessing a precedented number of aspirants for the number one seat of government of the state and even the National Assembly positions or seats to clinch the lower and upper chambers of the National Assembly seat. Another good thing about democracy is the emergence of the large number of aspirants struggling for only governorship seat and few National Assembly positions from the same political party following the declaration of the ruling party, APC to conduct a transparent primaries for it's aspirants based on head count not consensus or through nomination by party delegates as was obtainable in the past. The situation that informed the decision of the APC to conduct it's primaries through head count gingered lots of political agitators to join the race of the governorship and National Assembly with absolute hope and confidence that the Conduct of the party primaries is going to be transparent and will give every aspirant the opportunity to elect whoever they want instead of the party dictating to the electorates who it wants according to some political stakeholders. Among those contesting to run for the governorship election in Borno state include Senator Mohammed Abba Aji, a former senator of the Federal Republic of Nigeria and one time Managing Director of National Social Trust Fund, serving Senator Bashir Bakaka Garbai representing Borno Central senatorial district at the National Assembly and serving senator representing Borno north senatorial district at the National Assembly, senator Abu Kyari. Others include Eng Mohammed Makinta, a former AD State Chairman and State Commissioner during Late Mala Kachallah administration, Eng Kabiru Wanori, a former AD House of Representatives Candidate and businessman, a former CPC Governorship candidate, one time House of Representatives member, former MMC Chairman, one time Member, Borno state House of Assembly and serving Minister of State for Power, Housing and Works. The rest include serving Honourable State Commissioners of Works and Transport, Alhaji Adamu Lawan and State Commissioner of Justice who doubles as overseeing State Commissioner of Environment, Barrister Kala Shehu Lawan, serving Member, House of Representatives, Honourable Mohammed Sanda Marches Benisheiik among others yet to indicate interest. In the opposition parties, PDP has Comrade Grema Terab, a former Executive Chairman, Borno State Emergency Management Agency, SEMA and a former State Chairman, ANPP, Borno State, former MMC Executive Chairman and former MMC House of Representatives Candidate under the platform of ANPP and others who are warming up for the governorship seat. The other opposition party that has shown interest in the governorship race is the Labour Party where Alhaji Ibrahim Gadabur, a retired military officer and businessman based in Abuja is the only governorship aspirant from the southern Borno so far to run for the seat except for Late Ambassador Saidu Pindar who once contested for the same position under the PDP platform. It was however observed that all the other governorship aspirants are from either central Borno or northern Borno since the creation of the state with Borno South producing the deputy governor in what looks like an arranged sharing formula between the majority tribes in the state, Kanuri and Babur ethnic groups. The kanuris produce state governors from either Borno north or Borno Central and Baburs produce the deputy governors from Borno South. This has been the political tradition in the state since first Republic to date. However, this time around, the Borno South seems to be awake and upcoming at a time that the southern Borno people who have been producing deputy governors for the State since the beginning of democracy in the state to date are now agitating for power shift from the Borno north and Borno Central to Borno South in 2019.